Use digital intelligence to reimagine what’s possible for your business. 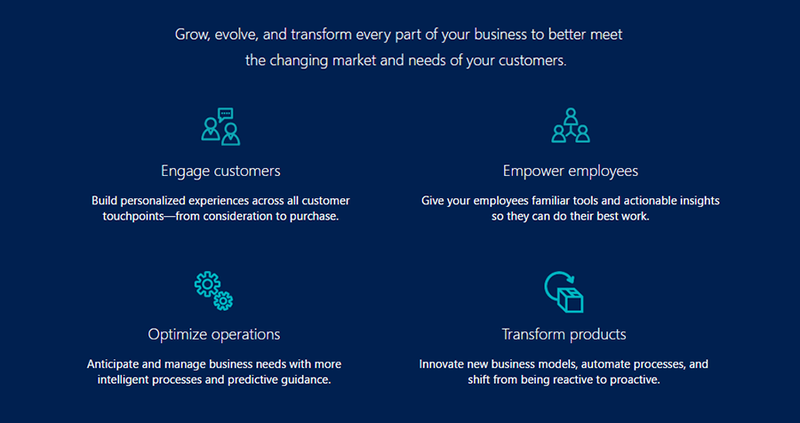 Dynamics 365 unifies CRM and ERP capabilities into applications that work seamlessly together across sales, customer service, field service, operations, financials, marketing, and project service automation. Start with what you need, add applications as your business grows. Microsoft Dynamics 365 lets you deploy a single, comprehensive solution to manage your financials, sales, marketing, service and operations – and connect with 3rd party payroll, banking or industry-specific apps. Increase your impact and expand your reach with Office powered by the cloud – must-have tools for business today. When we think of mail solutions, the most commonly used solution for businesses is Exchange. If you were to do a google search on Exchange, the Wikipedia description, “Microsoft Exchange Server is a mail server and calendaring server developed by Microsoft” would be the first reference you find, but, we all know Exchange is more than just a mail and calendaring server. In Everyday English, Exchange Server is software that runs on a server and manages emails. Contact us for the Promotional Price within your region. In your business, today, how do you ensure that your intellectual property remains yours? As with the ever changing and evolving network security world, enterprise mobility is constantly evolving. Therefore, policies must be flexible and robust enough to integrate new devices and tools as they emerge. Through Mobile Device Management (MDM), companies can take on new operating systems and devices without interrupting or undermining existing security measures. Microsoft Enterprise Mobility Suite (EMS) is an incredible set of tools (Microsoft Intune, Azure AD, Azure RMS) to help you manage enterprise mobility. But where do you start, what do the components do and why do you even need them? If you have EMS, are you using all its tools to the best advantage? When implemented correctly, EMS promotes organisational agility in responding to customer demands, and drives overall productivity and efficiency. And most of all, your intellectual property remains YOURS! The Enterprise Mobility Suite (EMS) provides Access Rights Management Services (AMS), identity management, mobile security and workspace solutions. You can integrate EMS into your existing IT Environment and manage all your company’s mobile devices from a portal in the cloud, all managed by your IT team. EMS also allows you to set up brand new out-the-box methodologies and policies to ensure the security and integrity of your company and its intellectual property, or IP! Benefit from a comprehensive mobile device management service, including remote support, device security, and access to corporate applications. A mobile device no longer needs to be the second point of failure after human error. You can now ensure that all collateral is “locked down” correctly. Simplify mobility for colleagues with identity management and access to apps with a single sign-on. No more worrying if the VPN you’ve set up for Bob to use while in Hong Kong really is as secure as you’re hoping it is! Secure your applications, documents and information. Make sure that emails can’t be forwarded to the wrong people; the IP can’t be “stolen” maliciously or accidentally; and allow for greater security in how allowed sharing of IP is managed. Conveniently access rights management services via the Cloud. No more on-premise CAPEX. Accessibility to manage from anywhere in the world means natural and human disasters need not inhibit the work your company is known for. So what comprises the EMS suite of products? Analytics, Intune and Azure Rights Management. Again, no more worrying about public access into VPNs! Save time and money, and enhance the user experience! Advanced threat analytics will enable you to look beyond a simple login, and actually monitors the behaviour of users. Where is Bob singing in from? Is Bob meant to be there? Is that Bob at all? It will detect threats fast with behavioural analytics. It will respond to those behavioural trends. And it will safeguard against changing behaviour before it can become a problem. Schedules, behaviour and login locations are monitored, automatically triggering multi-factor requests if suspicious activity is detected. And it’s done without cluttering inboxes with continuous and oftentimes innocuous alerts. Microsoft Intune manages laptops, desktops and mobile devices – things that connect to your network and your IP. Intune allows you remote wipe capabilities for advanced user management, without removing personal data. Implement simple-to-adopt solutions for controlling access to corporate apps and data, pushing out software, and monitoring mobile device health. Windows 10 benefits your user and IT admin, since all machines are joined directly to Azure AD – a one-stop-portal – and will access Microsoft Intune right from the account settings of the operating system. Azure Rights Management also sets rules and policies on how data is transmitted via Exchange. Too often people send information that should never have been sent outside of the organisation. ARM allows you to control how data is shared by ensuring the appropriate users have access to the right data, blocking screen captures and printing for sensitive data – giving you the control and ensuring your company’s data is secure. It also means that company data cannot be sent to private emails. The last point is on Mobility Management (MDM). Mobile Device Management allows companies to take on new operating systems and devices without interrupting security measures. As the 21st Century marches boldly on into the technological maelstrom, data loss due to human error, malicious attacks, and corporate espionage is becoming more and more prevalent in our workplaces. MDM provides the IT administrator with real-time visibility of how devices are being used and what data is being accessed. It can identify and block unfamiliar devices attempting to access business data, and can be used to collate information around usage to bring down costs, while keeping the security strategy relevant and up to date. It’s proactive, real-time preventative and based on the security you want implemented in your organisation. Should a device be lost or stolen, MDM allows the IT department to remotely lock the device and wipe company-sensitive data to ensure it doesn’t end up in the wrong hands. Anti-virus and anti-malware software should also be a prerequisite to avoid data theft. Businesses can also use secure content distribution tools to distribute sensitive corporate information, without exposing the rest of the corporate network unnecessarily. But what about personal data? MDM tools are there to allow IT administrators to monitor corporate data on mobile devices, but it also allows for personal data to be put beyond the view and reach of the company, protecting the privacy of the employee. The Microsoft Cloud Solution Provider (CSP) program enables partners to directly manage the entire lifecycle for their Microsoft cloud customers including billing and support. Partners in this program use dedicated in-product tools to directly provision, manage, and support their customer subscriptions. Partners can easily package their own tools, products and services, and combine them into one monthly or annual customer bill. What are the benefits of CSP? CSP makes it easy to build a managed services business with Microsoft Cloud Services and provides an opportunity to build recurring revenue streams. How does this impact the way I sell today? How you sell Microsoft Office 365, Microsoft Intune, Enterprise Mobility Suite, Microsoft Dynamics CRM Online, and Microsoft Azure are exactly the same. This is simply one of the business models partners can consider when selling Microsoft cloud subscriptions. Which products can I sell in this program? You can sell all major commercial suites and standalone products for Microsoft Office 365, Microsoft Intune, Enterprise Mobility Suite (EMS), Microsoft Azure, and Microsoft Dynamics CRM Online. We will add other services as they become available. First Distribution, South Africa’s leading distributor of data centre and enterprise solutions, has recently announced their intent to focus on the African market during the next year. 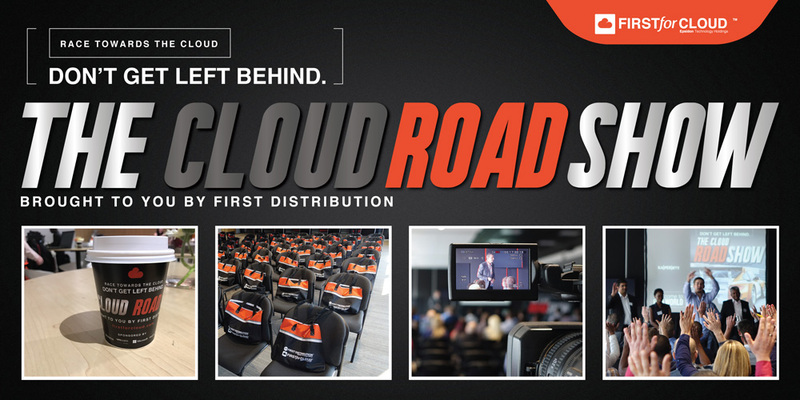 With more than 14 years’ experience as a South African Software Distributor in Microsoft Service Provider Licensing Agreements (SPLA) and now Cloud Solutions Provider, First Distribution has a wealth of experience in the industry. Aiding partners with all types of licensing activities, First Distribution has long been known for the value and support they provide to partners.